From the cars people drive to the food people eat, almost everything a person touches has spent a portion of its time riding in the trailer of a diesel-powered truck. As the economy begins to grow back and expand numbers for consumer spending, companies are beginning to increase the amount of goods they need shipped. More diesel-powered vehicles mean more diesel mechanics needed to service and maintain these growing fleets. In Idaho, companies are beginning to realize that the demand outweighs the number of qualified diesel mechanics, creating a great opportunity and job stability for individuals interested in this industry. Before sending in their application to their local community college for enrollment, it is recommended that potential students first check to make sure their educational prerequisites have been addressed. Almost all community colleges and vocational institutes require that future students have earned their high school diploma or GED, and some stricter colleges require that their students have taken four years of high school English and two years of high school math and science. It is important to note that while the demand for diesel mechanics in Idaho is extremely high right now, most companies are looking for certified diesel mechanics to fill these vacant positions. Although the number is small, some companies have preemptively developed certification courses, allowing those with previous work experience but no formal training to become certified. For most job positions, companies expect applicants to have already earned their diesel technology degree or certification. A growing number of technical schools, community colleges, and vocational institutes offer certification programs for diesel mechanics. Some of these schools have taken their programs one step further, offering associate and bachelor’s degree programs to students looking to set themselves apart from other applicants. Part of the due diligence involved with choosing a diesel mechanic school in Idaho is verifying the accrediting agencies that have approved the college’s curriculum. The gold standard among employers looking for certified diesel mechanics is the National Automotive Technicians Education Foundation (NATEF). For students interested in pursuing their associate’s degree, it is important to note that the Associate of Science in Diesel Technology takes most student two to three years to graduate. With regards to the bachelor’s degree program, students can expect to dedicate four to five years of hard work to earn their Bachelor of Science in Diesel Technology. For students wanting to enter the workforce as quickly as possible, the associate’s degree program is an abbreviated alternative to a bachelor’s degree. The associate’s degree curriculum covers a wide variety of hands-on training that teaches students how to diagnose and repair diesel engines. Many students have decided to pursue their bachelor’s degree in diesel technology to set themselves apart from their competition. 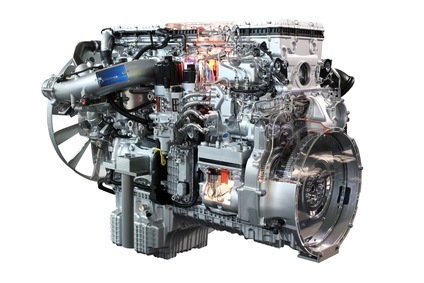 This program is designed for students who want to delve deeper into the science and technology behind diesel engines, allowing them to better understand the engines they work on. Although a bachelor’s degree involves some lab and garage coursework to give students the hands-on skills they need, most of the work is done in classrooms. Most employers are looking for diesel mechanics who hold a diesel technology certification or degree, even though the state of Idaho does not require any special certification to work legally as a diesel mechanic. In lieu of certification, a small number of employers are willing to hire diesel mechanics that have several years of experience. To show potential employers their dedication to the diesel mechanic industry, individuals can work on obtaining certification from the National Institute for Automotive Service Excellence (ASE), which certifies them on the repair and maintenance of brakes, mechanical systems, and electrical systems. Based on recent research released by the Bureau of Labor Statistics (BLS), Idaho companies employ approximately 1,460 diesel mechanics, with $40,100 being the average annual salary. The estimated growth rate to 2020 for diesel mechanics is 15 percent as a whole, which should add roughly 35,200 new jobs throughout the United States. As the nation’s economy continues to grow and expand, the demand for certified diesel mechanics will likely outpace the supply of workers. This industry offers tremendous career growth, earnings potential, and job stability, making it an attractive choice for individuals who like to work hard, get their hands dirty, and help solve problems on a daily basis. Individuals looking to join this fast-paced industry should strongly consider beginning their diesel technology certification or degree today. Penn Foster offers affordable, self-paced career-focused distance education programs in fields like business, criminal justice, health services, technology, engineering, paralegal studies and more. Get a hands-on, job-specific education at Lincoln Tech. Copyright 2009-2015 by Diesel Mechanic Guide.